The high-performance Doosan engine provides the P185 with reliable power and improved cold starting capability in temperatures as low as -10º Fahrenheit, which is 20º colder than its closest competitor. "By manufacturing both its own engines and airends, Doosan can make sure its air compressors meet high and consistent standards," said Jeremy Bailey, Doosan Portable Power air products manager. "Customers can trust that the two major components of a Doosan air compressor are of Doosan quality." The P185 is equipped with a Tier 4 Final Doosan D24 engine and a Doosan DSN100 airend. Together, they deliver 185 cfm of air at a rated operating pressure of 100 psi. The unit runs 12 hours at 100 percent load, which is two hours longer than the previous P185 generation model, and two hours longer than its closest competitor. The P185 achieves longer runtime because of its 34.5-gallon fuel tank. The high-performance Doosan engine provides the P185 with reliable power and improved cold starting capability in temperatures as low as -10 degrees Fahrenheit, which is 20 degrees colder than its closest competitor, according to the company. Doosan extended warranty contingent on the use of genuine Doosan fluids and filters and service at prescribed intervals. Wacker Neuson is introducing the first battery-powered single direction vibratory plates offering zero-emissions compaction. The AP1850e and AP1840e series offer a new solution for contractors and rental centres looking for a cordless, emissions-free plate compactor for a variety of applications. These plates are ideally suited for use in new commercial interior or indoor renovation projects, poorly ventilated areas such as trenches and tunnels and projects with strict emission and noise guidelines, as well as traditional soil and asphalt compaction applications. Wacker Neuson's new G70 mobile generator, powered by a Tier 4 Final Kohler engine, is a prime powered generator designed to withstand the rigors of repeated transport and continuous load. The compact, sound-attenuated model provides single and three-phase power for construction, commercial, industrial and special applications where quiet power is needed. The latest addition to Husqvarna's battery-powered range, the Husqvarna K 535i battery power cutter, builds on its fuel- and electric-powered equivalents, while adding benefits such as low vibrations, low weight and user-friendly ergonomics to the mix. It's almost maintenance free and offers a low cost of ownership. And on top of that, it can easily be used for wet cutting. Generac Mobile users can extend their Tier 4 Final generator run time with a new extended run fuel system. The system makes it easy to connect external fuel and diesel exhaust fluid (DEF) tanks to the generator for longer run times. The system is optional on all Generac Mobile Tier 4 Final diesel generators starting at 75 kVA and up. Generac Mobile's LINKTower – the portable, linkable, zero-emission LED light tower – now packs more lighting punch. New, more powerful 235W LED fixtures provide long-lasting and efficient illumination. The LED light fixtures are impact-resistant and are backed by a five-year limited warranty. They have 39 percent more lumen output then previous light fixtures and have 32 percent more coverage. It will be on display at the Rental Show 2019. Hilti is advancing tool technology with the introduction of a new cordless SDS max combihammer, the TE 60-A36. Powered by the strongest and highest-capacity battery available, the TE 60-A36 drills faster than any corded combihammer in the same size class on the market. Hilti says that it delivers up to twice the work per charge as current competitor cordless solutions, allowing users to get the most demanding jobs done even faster. Powr2 has launched their latest energy technology, Hybrid Energy Systems (HES). This sustainable equipment will help power rental companies expand their markets, cut maintenance and fuel costs, improve efficiency and reduce emissions. In addition, the technology will help extend generator life and increase resale value. Textron Specialized Vehicles Inc.has launched its new Cushman Hauler 4x4. The Hauler 4x4 series has been built to handle the toughest jobs at any facility, including golf courses, rental facilities, construction sites and municipal parks. Dust on a jobsite can have adverse effects on air quality and the environment, and it can put workers at risk. Generac Mobile's new dust suppression systems provide a breath of fresh air through a more effective way of suppressing dust and other unhealthy particulates. Generac gear powers operation for star of TV's "Gold Rush"
The latest season of Discovery Channel's hit television show "Gold Rush" features a new mine boss with new equipment from Generac Mobile. For the power and lighting needs of his new gold mining operation, Rick Ness turned to Generac Mobile. Chicago Pneumatic Power Technique has introduced the CPS 1800 JD8 T4F to its portable compressor lineup. The twin single-stage, oil-injected, rotary screw type compressor is the largest in the CP lineup and can work in a wide range of applications. Last year, Caterpillar announced the introduction of its first-ever Cat utility vehicles – the gasoline-powered Cat CUV82 and diesel-powered CUV102 D. To expand that offering, the product line now includes the gasoline-powered Cat CUV85 and diesel-powered CUV105 D. The CUV85 and CUV105 D both feature a spacious second row to accommodate a total of five people. Caterpillar gathered extensive customer and dealer input to build a UTV that delivers the unrivaled combination of durability, comfort and maintenance simplicity. Rigorous vehicle testing ensures both utility vehicles meet the superior quality and reliability customers expect from Caterpillar. Generac Mobile Products is offering a new and improved MLT4060MVD LED mobile light tower. Purpose-designed for applications in remote locations and extreme environments, this light tower includes features that allow for autonomous operation. An extra-large fuel tank and low fuel consumption allow the tower to run up to 533 hours on a single diesel tank fill and a 750-hour oil change interval, minimizing maintenance costs. 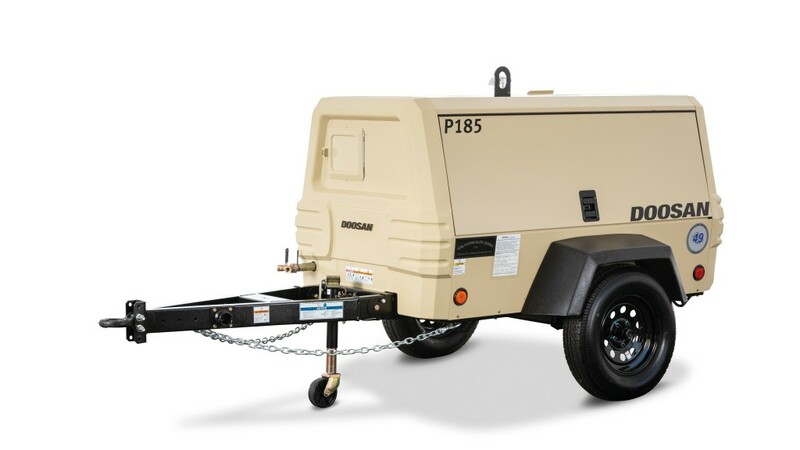 The XC Series portable generators, available in 6,500- and 8,000-watt models, feature a heavy-duty, fully wrapped, 12-gauge-steel-tube X Frame that protects the engine, alternator and fuel tank. Instead of a lifting eye, these units have a steel lifting pocket that fits most forklift and telehandler blades. Avant offers five models of articulated compact loaders which are truly multipurpose, multifunctional machines that work with hundreds of attachments that can be changed quickly with Avant's attachment coupler and hydraulic multi-connector. For example, it takes seconds to release the hydraulic breaker attachment and hook up a heavy-duty bucket to carry debris away. The Bomag BPR 70/70 D reversible plate compactor boasts a specially designed comfort handle that reduces vibration feedback to the operator's hands, reducing fatigue. Rubber vibration buffers connecting the steering rod to both the handle and the base plate drop hand-arm-vibration values to 8.2 ft/s2 (2.5 m/s2), offering enhanced operator protection while using the compactor. This exclusive comfort handle design is now available on all Bomag medium and large reversible plate models, ranging from the BPR 45/55 D to the BPR 70/70 D.
Yamaha Motor Canada Ltd is introducing a new lineup of Side-by-Side (SxS) vehicles, providing superior Capability, Comfort and Confidence to deliver Proven Off-Road performance in a variety of terrain. Ammann has updated the hand guides on it's current APR Reversible Vibratory Plate Compactors, reducing unwanted vibration to its lowest levels yet. Hilti (Canada) Corp was awarded the 2017 Innovation Award by the Toronto Construction Association (TCA). The "Best of the Best" award is in recognition for the innovation behind the DD- WMS 100 Water Management System for Diamond Core Drilling. The Chenaux Generating Station located on the Ottawa River in Ontario uses the river's current to generate 144 MW of clean, renewable electricity, enough to power nearly 150,000 homes on the grid. Like other hydro-electric power structures, its eight units were built in the mid-twentieth century as a stimulus project to help the country shake off the effects of the Great Depression.